It’s raining in Los Angeles. It’s been raining all day, off and on — A light drizzle in Santa Monica, hail in Koreatown, and a downpour in the San Fernando Valley. I don’t know if L.A. is big enough to have three different climates zones. But today, it seems that way. The rain is welcome after a dry winter season. But, aside from putting smiles on the faces of farmers in Fresno, what does this rain have anything to do with gratitude? And more importantly, how is this related to getting your film made? We say thank you to certain things, events, or people in our lives. While it sounds like good spiritual advice, there is actually a very practical component to this. When we say thank you, we are not simply chanting words in the hopes the kind fairy will bring us good fortune. When we say thank you, we are in fact addressing its reality. We are saying that it exists. When you thank someone for his or her deed, we are saying the deed is real. When you thank your loved ones for the person they are, you not only let them know that they exist, they in fact, exist. The tree in the forest did fall, because you were there to observe it. When you say thank you, you narrow down the field of infinite possibilities, into one reality. There are numerous obstacles in getting your film made—none of them smaller than the other. Getting your film made requires a great deal of resources, many of which are not within your grasp. But rather than reaching for something that isn’t in your grasp, start by looking around you for the things that you do have. Those are the things to be grateful for. Robert Rodriguez made El Mariachi for $7,000. The Duplass Brothers used a cheap video camera and one actor to get into Sundance. They utilized their resources. Oftentimes, we neglect to see what’s in front of us because we belittle them. If it doesn’t feed our ego, we simply ignore them. “Ignorance” is the opposite of gratitude. Gratitude is the road to a higher consciousness. 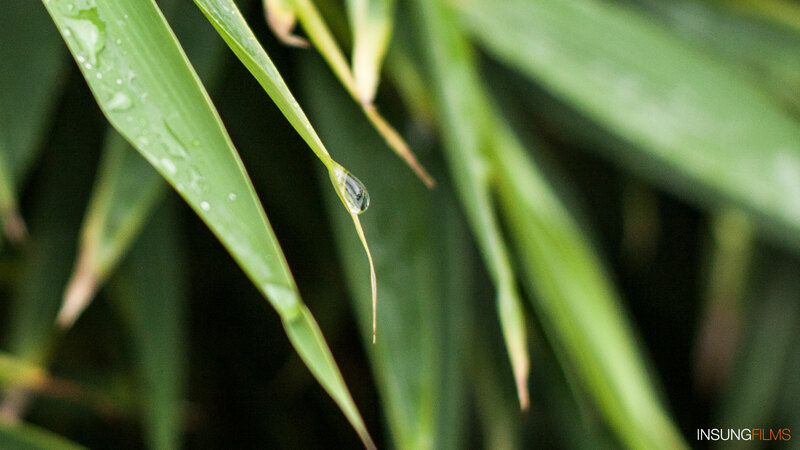 Listening for the sound of a raindrop going through a leaf is an exercise in gratitude. Listen to it again. What else do you hear? What else can you realize? Being thankful for the things that we already have is the first step in the realization of your film. I thank, therefore I am.